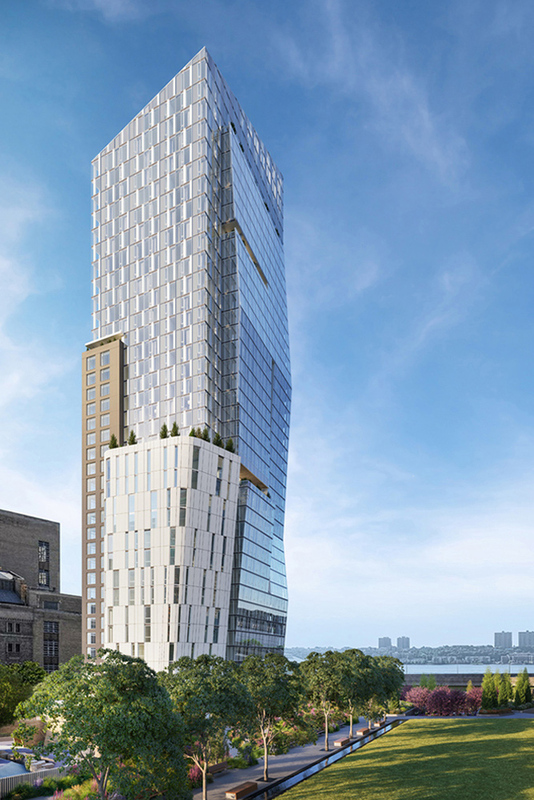 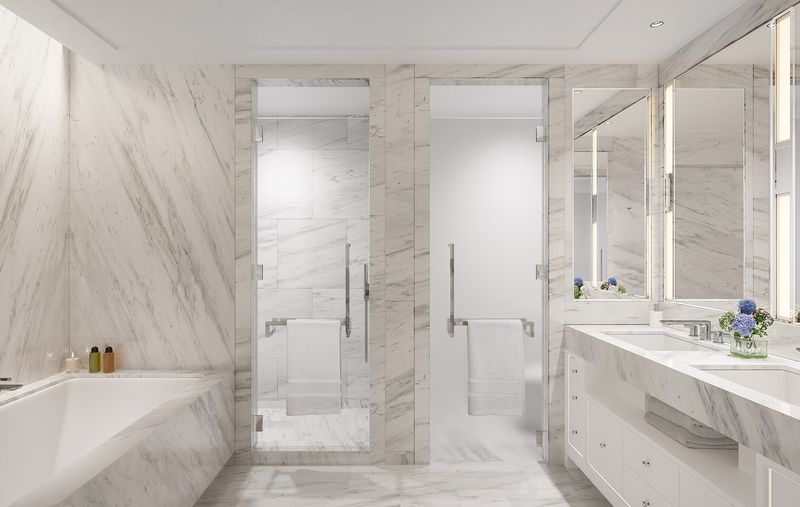 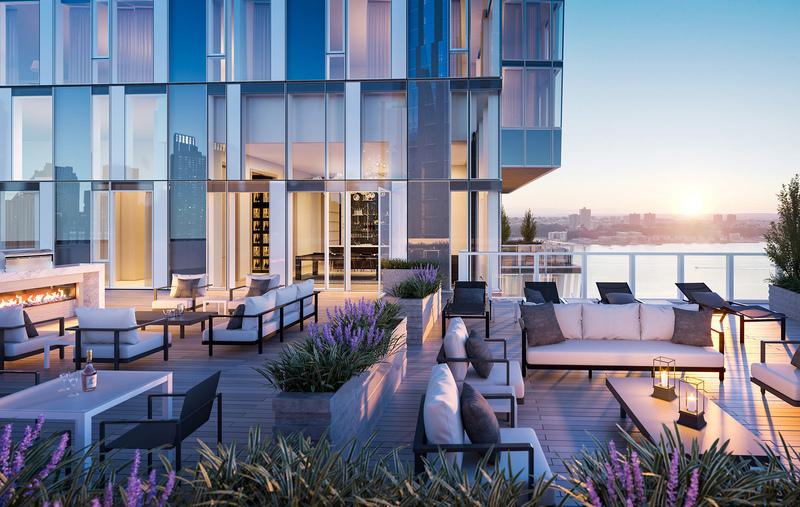 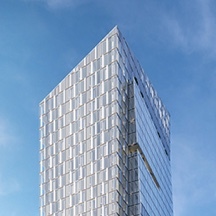 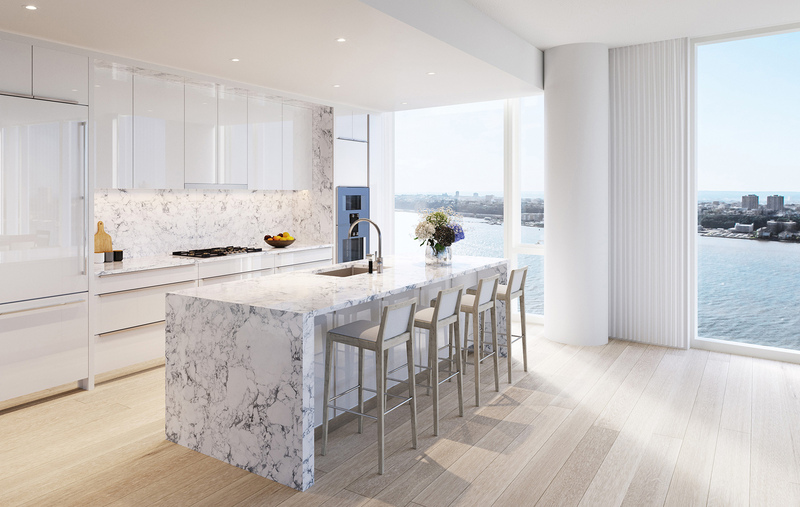 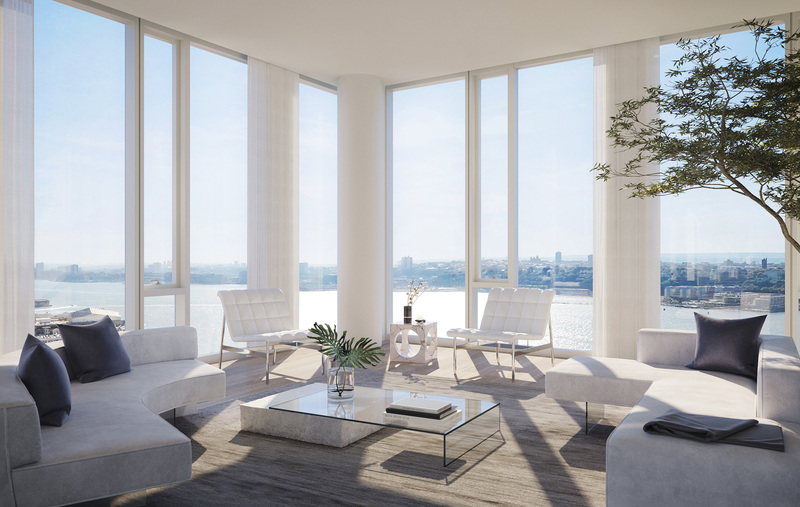 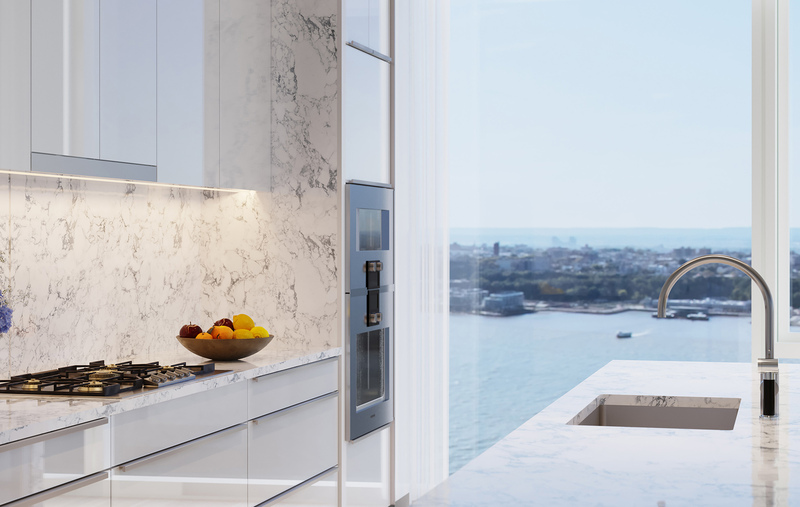 One Waterline Square, designed by Pritzker Prize-winning architecture firm Richard Meier & Partners Architects, commands a full city block in its prominent waterfront location where Midtown meets the Upper West Side. 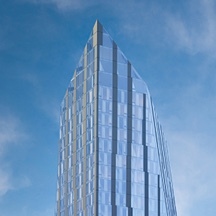 Meier’s signature precision is reflected in the undulating glass and metal facade that offers visual interest from each exposure. 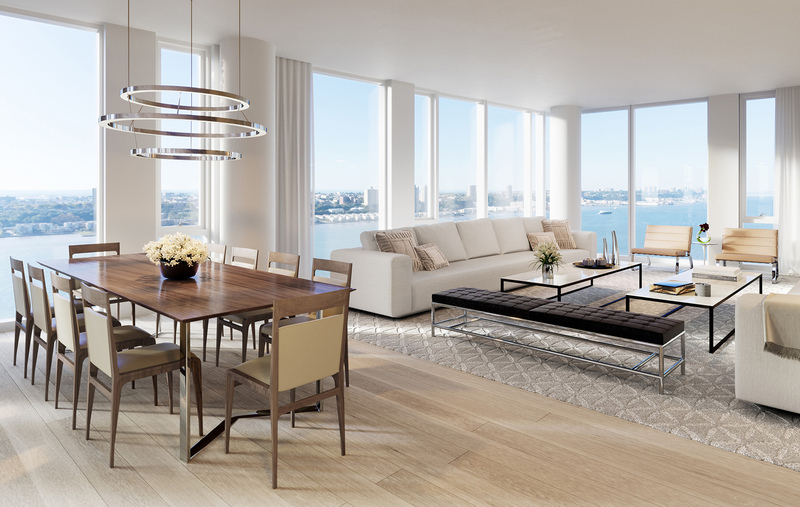 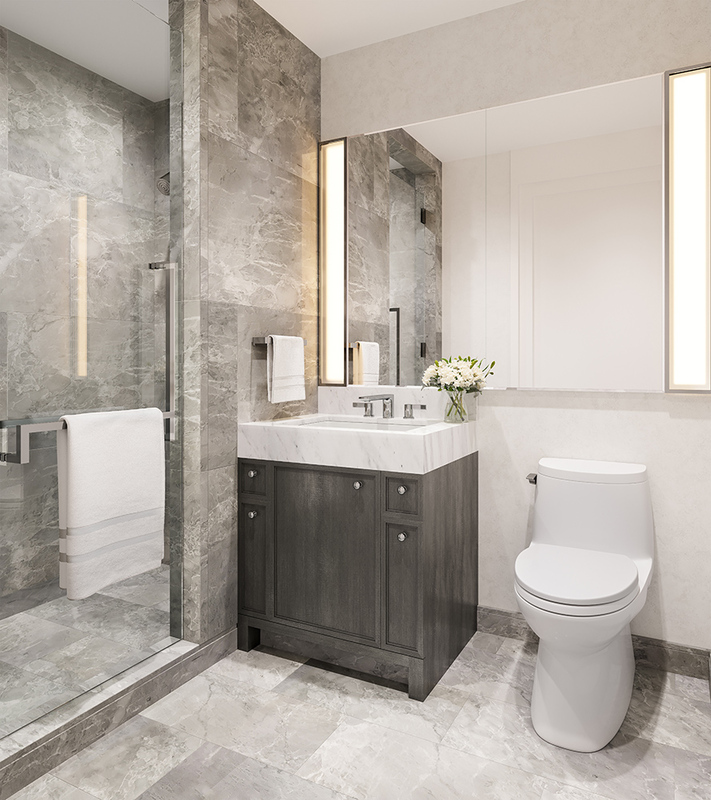 At the top of the building, elegantly proportioned residences are graced with high ceilings, enormous banks of windows, and a rich selection of handpicked materials. 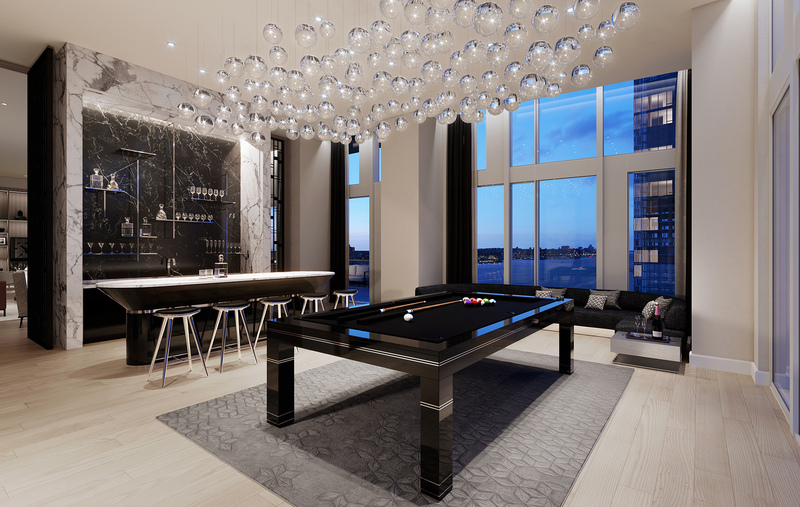 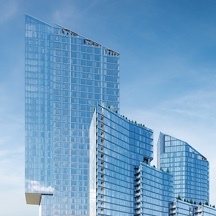 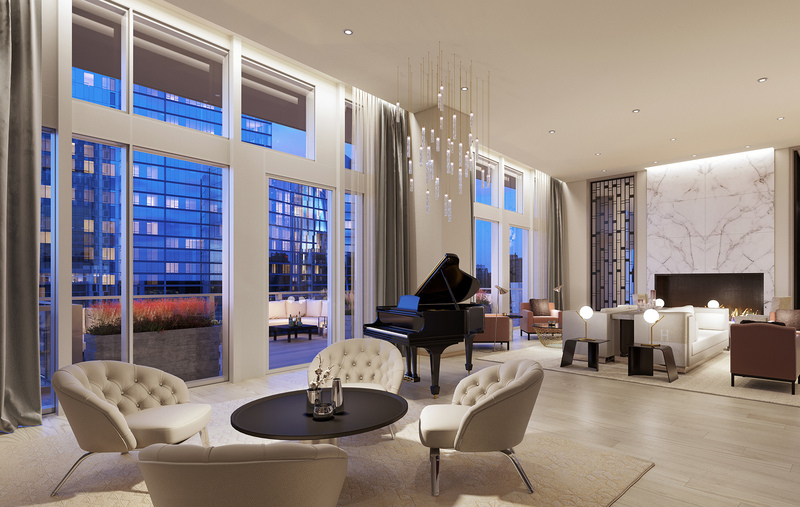 With walls of glass overlooking Waterline Square Park, the beautifully appointed lobby offers a warm welcome home. 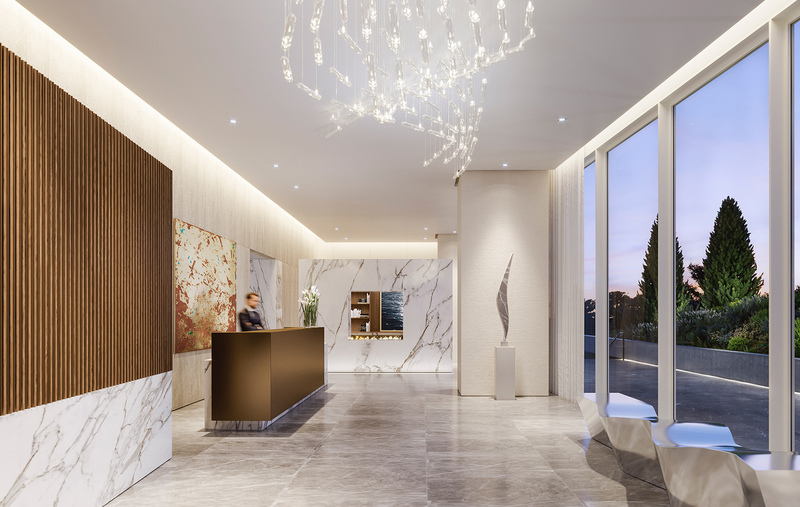 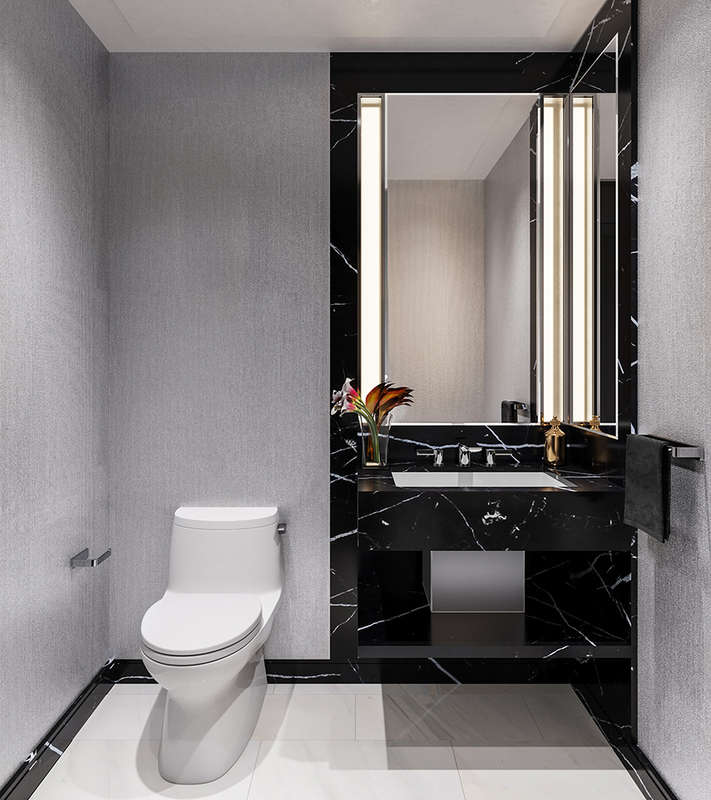 Sought after for an eye toward proportion, scale, and symmetry in luxury residences and five-star hotels, Champalimaud creates glamorous interiors that are the perfect complement to the building’s light-filled architecture. 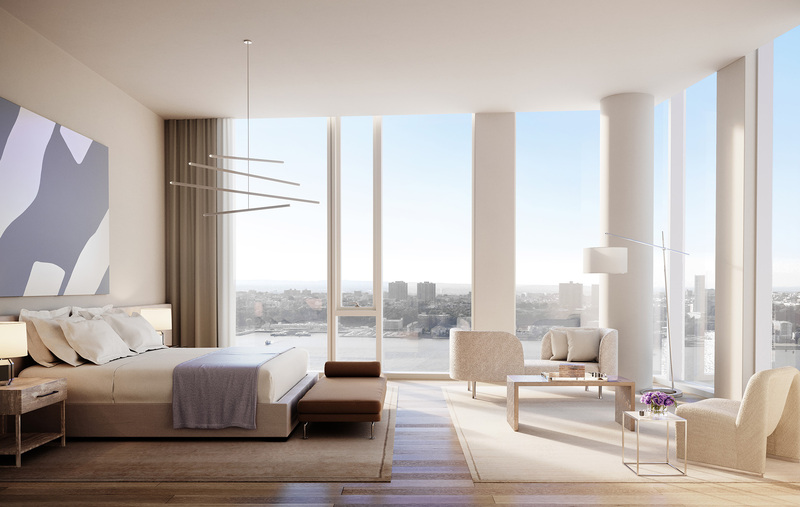 The residences embrace a modern context, while being completely welcoming, chic, and comfortable. 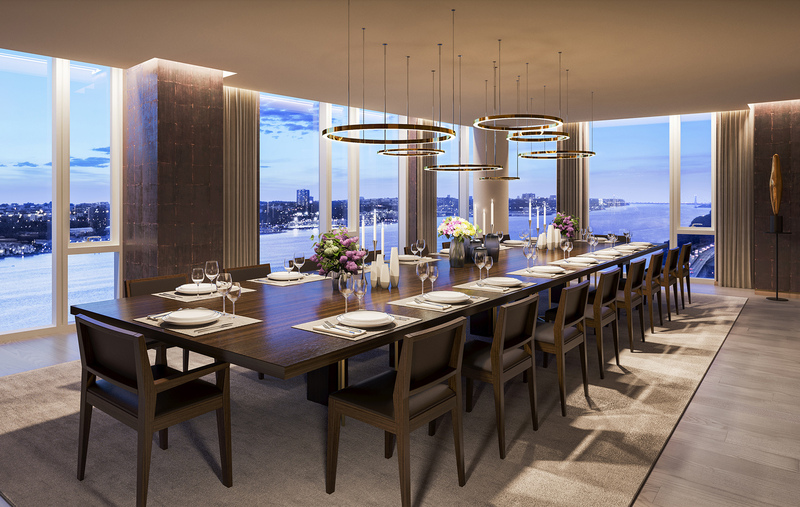 These are highly considered environments inside and out, enveloped with the most exquisite and refined materials available. 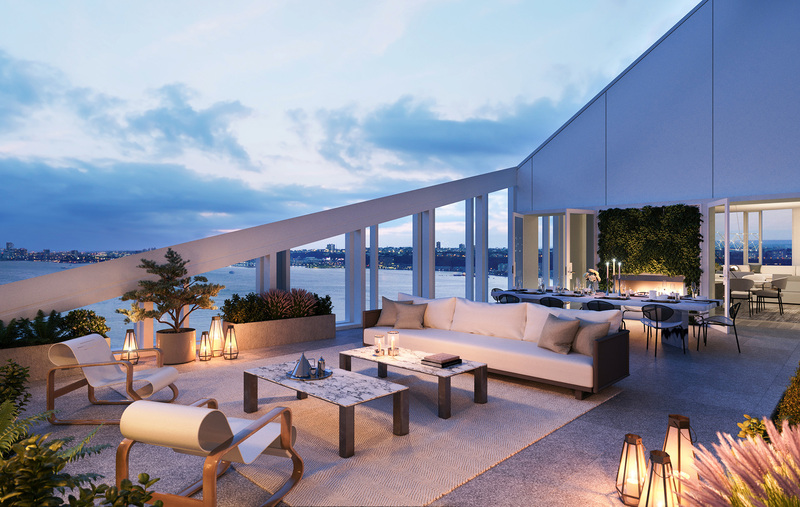 views of the Hudson River and the parks below. 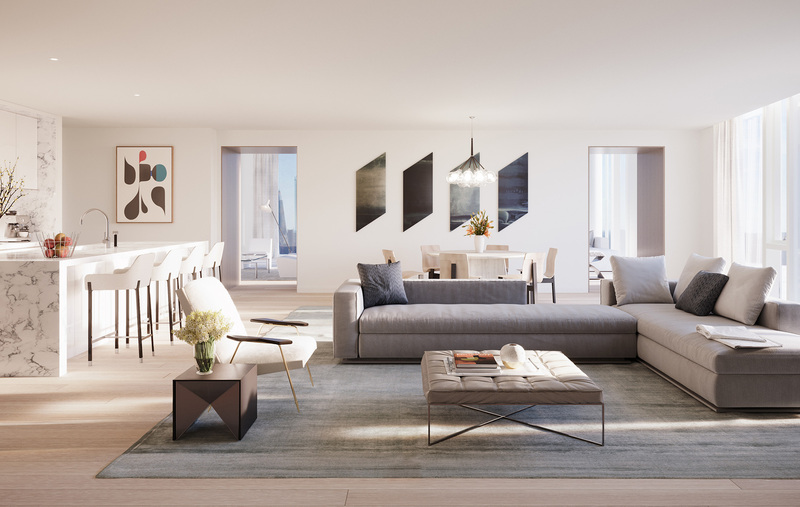 celebrate the individual character of each home. 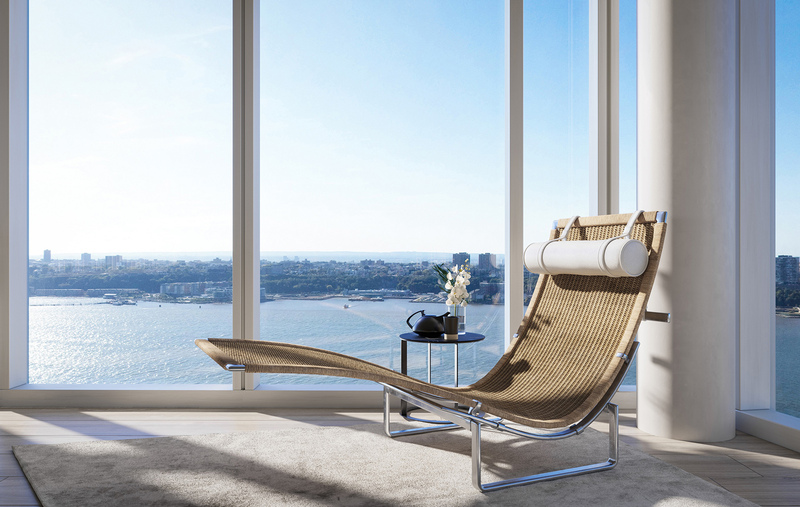 opportunities for recreation and repose.